Ofsted’s new chief inspector has pledged to remove the “blanket of concern” over FE that many believe have been left by her predecessor. Amanda Spielman (pictured), who has been selected by the government to succeed Sir Michael Wilshaw when his term ends in December, told MPs on the education select committee on Wednesday that FE is a “very strong area of interest” of hers. 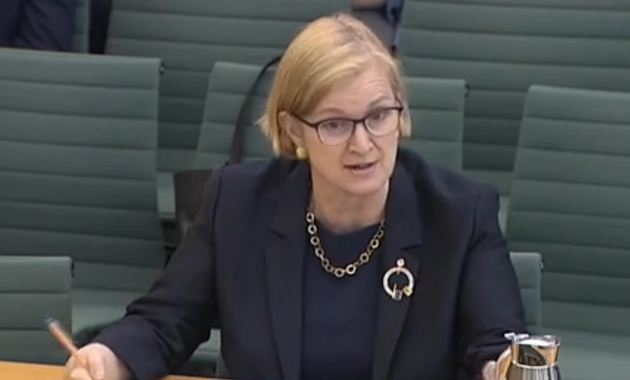 Ms Spielman, currently the chair of Ofqual, said she had “spent quite a lot of time” working on vocational qualifications and “things that primarily affect FE” during her time at the exams regulator. Asked by Stephen Timms, the MP for East Ham, why she thought the sector was doing “so badly”, Ms Spielman said: “Changes throughout the system have obviously had a very specific impact in FE. GCSE resits are clearly a very live area of concern. “There is a great deal of teaching and capacity required in FE that has not been required in the past, so that is reshaping their agendas. “A lot of FE colleges are very big, very complex organisations doing a lot of different things. The more things you pull together into a picture, the harder it is for everything to be good simultaneously. “That may be part of the reason — I don’t know yet — but I want to make sure that what I say is properly discriminating, and that it looks at the components and the causes. Ms Spielman’s views will come as a welcome reprieve to the FE sector, which has been repeatedly been talked down by Sir Michael. The chief inspector provoked a huge backlash when he laid into the sector during an appearance before the select committee on March 2 — claiming it was “in a mess”, and that 16- to 19-year-olds should be taught in schools, not colleges. During this week’s hearing, which was a statutory part of the recruitment process, Ms Spielman also told the cross-party group of MPs that she wanted to have “discussions” about scrapping the outstanding grade when she starts in January. Asked by chair Neil Carmichael for her personal view on the grade, she admitted she was “quite uncomfortable” about “some of the effects I see it having in the system”. She also responded to criticism of her lack of teaching experience after MPs discussed the concerns of teachers who had written to them. She accused some teaching unions of being “opposed in principle to the existence of a chief inspector” and said there had been a “huge amount of positive reaction” to her selection, including from the likes of the Association of School and College Leaders and the National Association of Head Teachers. MPs will now report back on Ms Spielman’s appearance and make a recommendation to the government on whether or not she should be appointed. “Good” Interpreted as a PASS. “Requires improvement” Interpreted as a FAIL. “Inadequate” Interpreted as a FAIL. One pass grade and two fail grades would be farcical. The way to go is to have two grades; acceptable or unacceptable. We need to reduce all the targets and stupidity because they are causing destruction and decline in real education. Getting rid of the outstanding grade would mean that those who excel and can be used as exemplars to the sector will no longer be recognised. If you really want to put improvement at the heart of inspection you need to recognise the best (and I know that Ofsted has made many errors with their previous light touch regime where teaching and learning was not assessed adequately and which has seen several grade 1s fall). Sir Michael and his ‘requires improvement’ as an observation grade destroyed graded observation and led to the ridiculous assumption that Ofsted inspectors go into classes and make no grading judgement on what they have seen. Really? However it is a much easier job for inspectors not to have to give lecturers feedback on what they have seen or to be challenged when they get inspection grades wrong. This all fits with a dumbing down of inspection and sits neatly alongside the proposal in the Government’s White Paper ‘Educational Excellence Everywhere’ (published March 2016) to remove the specific judgement on the quality of teaching, learning and assessment from Ofsted inspections of schools, early years and further education and skills. As this judgement has been the main basis of inspection since the inception of the FEFC, Ofsted might as well be scrapped as an independent watchdog of educational standards. I was encouraged when I watched this session. She seemed to already have recognised the recent changes that have disproportionately affected the FE sector. It was heartening to hear no blanket damnation of the FE sector, but some thoughtful responses about why the grade profile had changed. I think she is right to consider scrapping the Outstanding grade as it places immense pressure on organisations to maintain it when there are wildly fluctuating variables all around us including constantly changing inspection frameworks, increasing expectation of the FE sector curing all ills and, dare I say it, the likelihood that a different team of inspectors would come up with a different grade anyway! I think Phil Hatton has touched on the reason why she was appointed as Chief Inspector. If you want to cut costs and scale down inspections then the best person to employ is an Accountant/Auditor. The White Paper is paving the way for an audit based inspection regime. Outcomes are what the present government want to see – the old saying springs to mind , ‘never mind the quality feel the width’.